An 85-year-old woman and an 89-year-old man died after a fire broke out at a luxury building in Manhattan, officials said. Ken Buffa reports. An elderly couple died after a fire broke out at a luxury building in Manhattan, officials said. 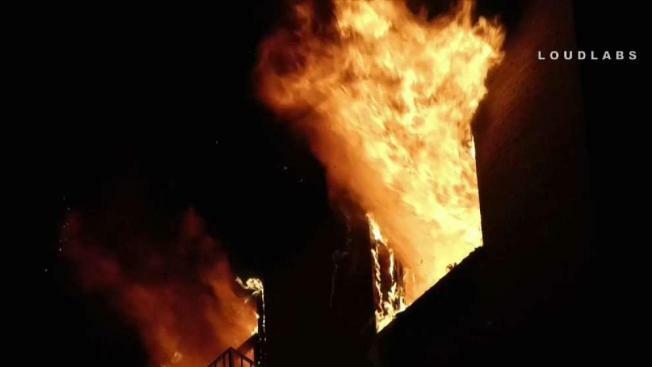 The fire broke out in an apartment on the ninth floor of River House, a co-op apartment building on East 52nd Street, around 5 a.m. Saturday, police and the FDNY said. Mary Merow, 85, was found unconscious with severe burns and pronounced dead at the scene, the NYPD said. John Merow, 89, was taken to the hospital, where he was pronounced dead, according to police. A firefighter was also taken to the hospital for treatment of minor injuries, the FDNY said. John Merow was a senior counsel at the law firm Sullivan and Cromwell, according to his LinkedIn page. A number of celebrities and public figures have called River House their home over the years, including actress Uma Thurman and former Secretary of State Henry Kissinger.